Shure, Inc., a world-renowned manufacturer of iconic and legendary audio products, approached Viget in the Fall of 2011 with a simple mission: to replace their unwieldy and bloated proprietary web platform with a custom content management system (CMS). Since then, we’ve worked with the Shure team to develop a nimble, cost-effective, and extendable Ruby on Rails site that launched several weeks ago. Our goal was to build a technology solution that aligned with the quality standards the Shure brand has maintained for nearly a century. 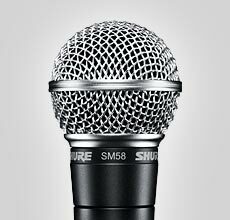 The Shure SM58® was adopted by rock-and-roll musicians in the 1960's and quickly became the standard for live performance vocals. The SM58® remains the most popular vocal microphone in the world. After our first call with Shure, we quickly learned that we’d be working with a massive migration of diverse, rich, and deeply-related data. With this in mind, we recommended that we begin the engagement with a focused strategy phase. These initial discussions allowed us to dive deep into the client and user needs, gather comprehensive requirements from the entire Shure team, and thoroughly define the project plan and timeline. Our strategy phase included a visit to their Niles, IL headquarters, where our lead developers got together with the Shure technical team for three very productive days. We came away from the trip energized and excited to get started. David and Doug on a trip to the Shure headquarters in Niles, IL. The Shure building is architecturally stunning and houses the Americas operations, including R&D. Throughout the project, we encouraged a highly collaborative approach involving both teams to help mitigate risks and avoid missed expectations. With frequent meetings and communication via video chat, we were able to quickly hash out features and functionality questions and concerns. Our various in-person visits to Shure headquarters allowed us to brainstorm and work through complex requirements or particularly difficult problems. Additionally, to keep the Shure team in-the-loop on what we were working on, we posted weekly Basecamp updates and presented bi-weekly demos, seeking feedback throughout. When it came time to reveal the completed platform to the Shure team, we led a custom CMS / Systems training session, providing detailed instruction on how to manage and maintain content effectively. 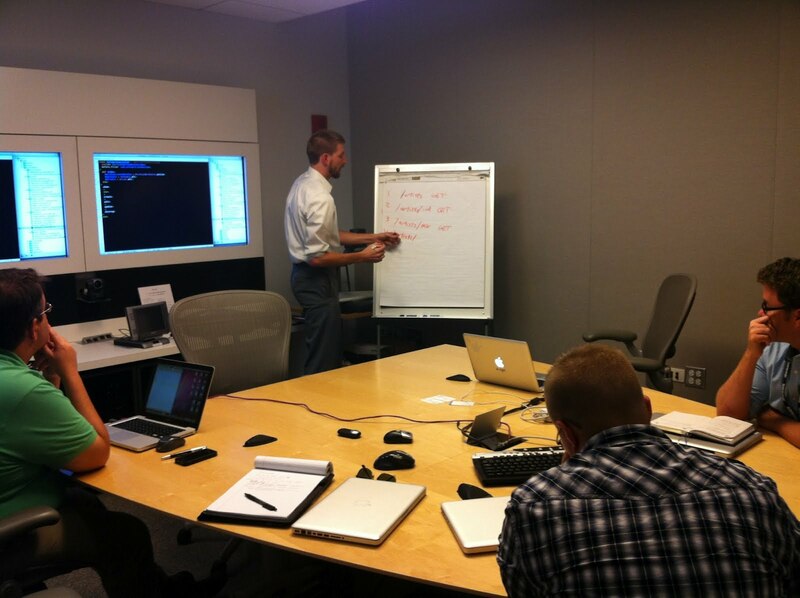 Ryan walking the Shure web team through content management system training. Overhauled CSS/JS - Shure’s files are smaller, smarter, and more targeted to individual features, which will result in easier long-term maintenance. Built with Ruby on Rails - Rails is a widely used and supported platform, enhancing Shure’s ability to work with new developers and outside vendors on future shure.com projects. Revamped Publishing Workflow - The new CMS also provides more efficient and expanded content management controls for contributors, making it faster and safer to make changes within the supported functionality. Tested Thoroughly - The new shure.com is backed by over a thousand tests which run automatically when code is deployed, reducing the risk of new features breaking old ones. Customized GA Tracking - We introduced advanced tracking to allow for more in-depth reporting. Now, visitor behavior will be measured beyond pageviews, enabling an understanding of how people interact with elements on individual pages. We’re also tracking how the site facilitates visitors' task completion at an aggregate level, giving us a holistic view of how users actually use the site. We’re happy that we were able to help the Shure team move away from their old, cumbersome and specialized platform and onto a new, highly efficient and open platform. Now that we’ve successfully completed this effort, we plan on expanding the value for users with UX enhancements, new features, and more tools. Stay tuned!